molly moon's homemade blog: Can't Wait for that Obama Tax Credit - We're Hiring Now! Can't Wait for that Obama Tax Credit - We're Hiring Now! Molly Moon’s Homemade Ice Cream is looking for a smart, hard-working, self-motivated, friendly person to join the ice cream making team. This job beats the pants off other jobs! Ice Cream Makers at Molly Moon’s participate in new flavor creation and don’t need to know how to make ice cream to start. 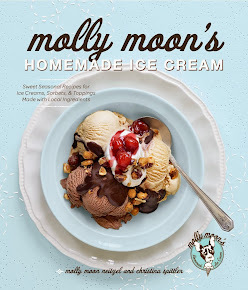 Molly Moon’s is an independent ice cream company creating and serving locavore ice cream and sorbets using organic and natural ingredients grown in the Pacific Northwest whenever possible. On an average day, our ice cream makers are grooving to their own music while churning out large batches of ice cream and working as part of a team to come up with new flavors and sundaes. MM’s serves kids, friends & families in Wallingford and Capitol Hill’s Pike/Pine corridor. Prepare ingredients for each flavor and topping including homemade salted caramel, chocolate base, balsamic reduction, hot fudge, lemon curd, fruit compotes, homemade marshmallows etc. Advancement opportunities in our growing company! Is this full-time or part-time? And what hours?